Higher Visibility recently released the results of a survey where five hundred small businesses were asked questions about how well their internal team understood search engine optimization (SEO). The results were not overly positive. 180 businesses didn’t know if anyone on their team understood SEO, or they reported that their team had no understanding of it. 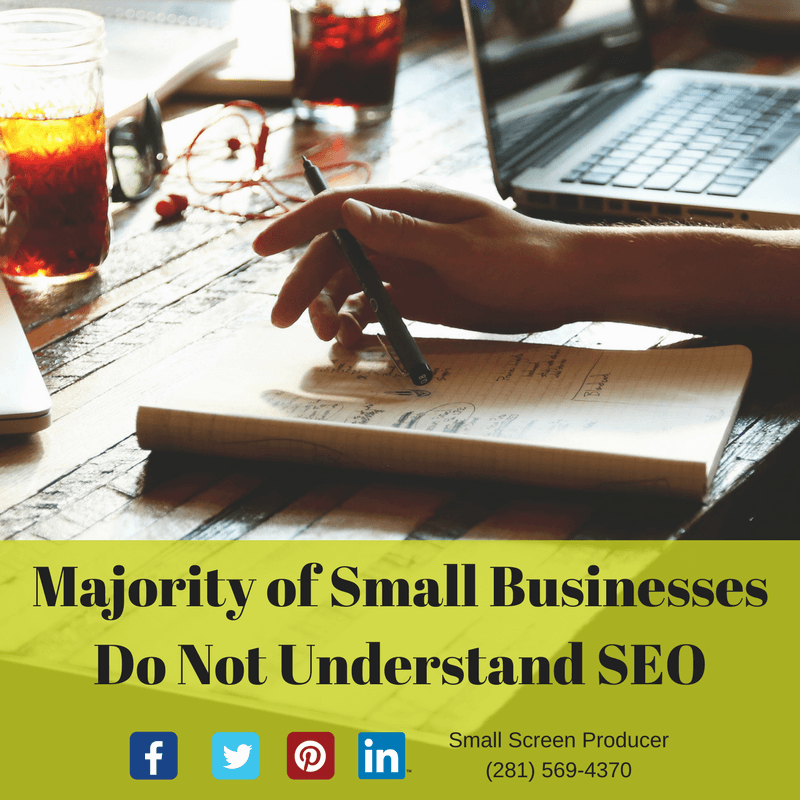 It was also clear that many small businesses do not understand how much they may be harming their online marketing efforts. 38% of the respondents believed that keyword stuffing was an effective way to rank for a keyword, while 12% incorrectly thought that publishing duplicated content that had been copy and pasted from another page was okay. Businesses are not capitalizing on the related search terms their audience and potential visitors are using. Several businesses lack the framework to capture meaningful data about how well they are being found through organic search. Not knowing what factors impact a company’s website ranking online is causing businesses to lose visitors and revenue. Small Screen Producer stays on top of the ever-changing SEO and online marketing landscape so that you don’t have to. Our team of digital marketing experts works with clients to develop effective strategies that will drive traffic to your website and increase sales. To speak with an experienced online marketing specialist today, we invite you to call (281) 569-4370.